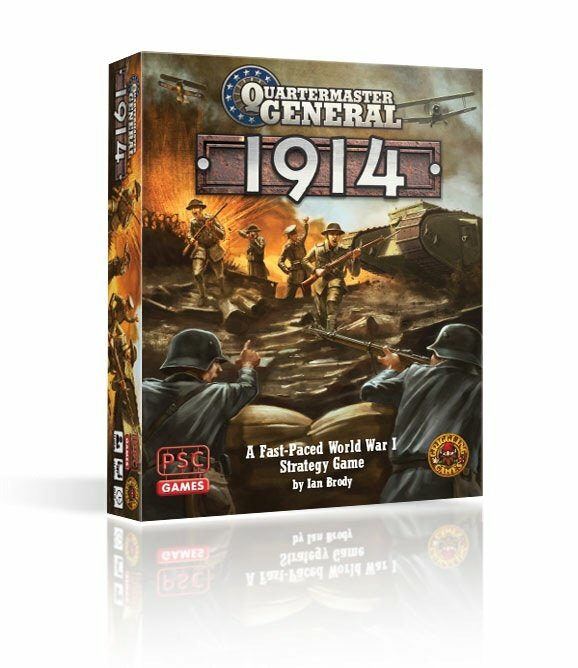 In Quartermaster General: 1914, each card has two different uses: one when played, and another when prepared. On your turn, you have the opportunity to both play and prepare a card. You can also spend cards to draft more troops, or use cards to attrition your opponents. However, your deck represents your overall resources, so moving too quickly through your deck early might result in your unsupported armies being swept away in the final rounds of the game. This is worth it if you can capture Berlin or Paris in 1915, but if your gambit fails, you may have a tough road ahead. The game ends after 17 rounds of play, or earlier if one side has a commanding lead.